What has evidence from education research and the cognitive sciences told us about undergraduate instruction and student learning in the sciences? What role can undergraduate student research play in a science curriculum? What benefits does information technology have to offer? What changes are needed in institutions of higher learning to improve science teaching? We conclude that widespread promotion and adoption of the elements of scientific teaching by university science departments could have profound effects in promoting a scientifically literate society and a reinvigorated research enterprise. Boyer Commission on Educating Undergraduates in the Research University. (1998). Reinventing Undergraduate Education: A Blueprint for America’s Research Universities, Carnegie Foundation for the Advancement of Teaching, Menlo Park, CA. Retrieved January 21, 2003 from: http://naples.cc.sunysb.edu/Pres/boyer.nsf/. Deardorf, J. (2004). To many, using Ritalin to think faster looks like cheating, Billings Gazette. Retrieved January 9, 2005 at http://www.billingsgazette.com/index.php?id=1&display=/rednews/2004/04/14/build/health/40-ritalin.inc. Dede, C. (2000). 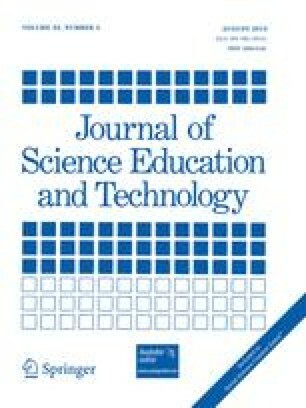 Emerging Technologies and Distributed Learning in Higher Education, at http://www.virtual.gmu.edu/SS_research/cdpapers/hannapdf.htm. Glenn Commission Report. (2000). Before It’s Too Late: A Report to the Nation from the National Commission on Mathematics and Science Teaching for the 21st Century. Retrieved December 15, 2004 from http://www.ed.gov/inits/Math/glenn/report.pdf. Hake, R. R. (2002). Assessment of Student Learning in Introductory Science Courses. 2002 PKAL Roundtable on the Future: Assessment of Student Learning, Duke University. Retrieved December 15, 2004 from http://www.pkal.org/documents/ASLIS.Hake.060102f.pdf. McDermott, L. C., and Redish, E. F. (1999). Resource Letter PER-1: Physics Education Research, available at http://www.phys.washington.edu/groups/peg/rl.htm. Strangman, N., and Hall, T. (2003). Virtual Reality/Computer Simulations: Curriculum Enhancement, National Center on Assessing the General Curriculum. Retrieved January 9, 2005 at http://www.cast.org/ncac/index.cfm?i=4832. Twigg, C. A. (2001). Innovations in On-Line Learning: Moving Beyond No Significant Difference, The Pew Learning and Technology Program. Retreived October 20. 2004 from http://www.center.rpi.edu/PewSym/Mono4.html#Anchor-47857. Woods, H. A., and Chiu, C. (2003). Wireless Response Technology in College Classrooms. Technology Source. Retrieved October 20, 2004 from http://ts.mivu.org/default.asp?show=article&id=1045.